A Chocolate Festival! What a brilliant idea! All my Christmases have come at once. 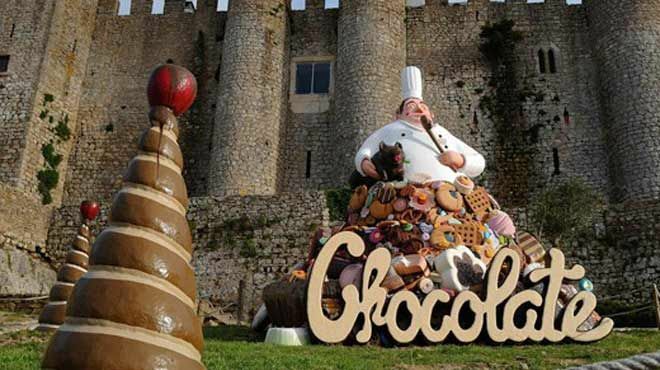 Off we hopped to the Obidos Chocolate Festival on the Silver Coast last week. Just after Christmas we had visited the Vila Natal and attempted to see the fabulous light display, so we had an idea of what to expect – plenty of entertainment and attractions for all age groups. Plus there was always the chance they’d replaced the skating rink that was there at Christmas with a big, chocolate filled swimming pool. The theme this year is wild animals. 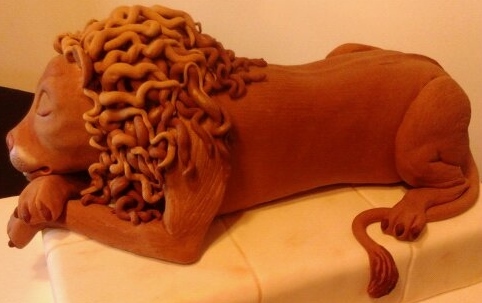 Amazing chocolate sculptures of gorillas, giraffes, snakes and other exotic creatures. Fantastic cake displays. Once you’ve wandered up the main cobbled street, lined with artisan shops, museums, cafes and restaurants and of course stalls selling chocolate themed items, you turn left at the top of the hill where you can pay to enter the main event. This is choc full (sorry irresistible pun) of displays and events including chocolate workshops and tastings. However we found enough to keep us occupied for an hour or two strolling up the main street. We meandered along drinking ginja liqueur in a chocolate cup while the children ate strawberries dipped in chocolate fondue bought from a shop selling artisan food, organic vegetables and second hand books. What more could a girl want? (Okay, you can probably think of something). Along that line, my son asked if he could go back and get ‘the reindeer lollypop’. Now I’m not sure what he thought it was but it wasn’t a reindeer lollipop. I headed over to where he was pointing which I thought was some sort of round edged sword. I had seen these round edged swords on quite a few stalls. Must be something to do with the Knights Templar and castle maybe. As I stood pointing and discussing whether to spend the 2.50 euros on the lollipop my husband dragged me away saying it wasn’t appropriate for my son to have that because anyone could see it was actually a chocolate lollipop in the shape of male private parts. Upon further scrutiny (of the lollipop) I realised he was right. Oops. I couldn’t see any hen parties or indeed anyone enjoying one in the spring sunshine so I’m not sure they did a roaring trade in those. Indeed they may have sold more chocolate reindeer. Well, they would have sold at least one. The chocolate festival runs this year from 14th March to 6th April, so just one weekend left. Let’s hope for more spring sunshine. For further insight into the chocolate festival visit ‘Julie Dawn Fox in Portugal’ who did a brilliant round up of last year’s festival. The cake decorating exhibition was amazing! 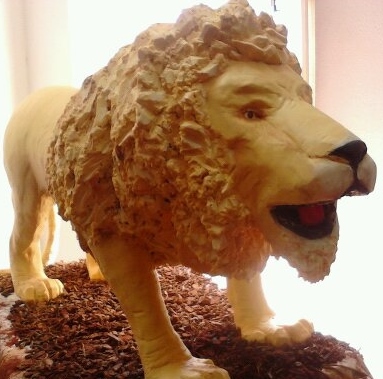 This entry was posted in Central Portugal, Festivals, Food, Portugal, Silver Coast, Tourism, Uncategorized and tagged cake decorating, chocolate, chocolate fondue, chocolate workshops, entertainment, expat, festivals in Portugal, festivals Silver Coast, Obidos, Obidos chocolate festival, Portugal, strawberries, Vila Natal. Bookmark the permalink. Chocolate monkeys – wow! 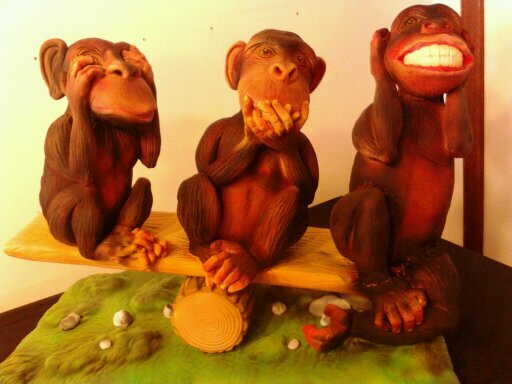 See no evil, speak no evil, see no evil and all in chocolate! Not too crowded at Christmas but the chocolate festival isn’t so good if you don’t like crowds. 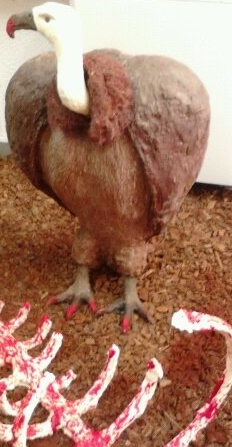 However, after a few cups of ginja you may not mind!